There is nothing wrong with letting our inner tough girl shine: a little bit of punk rock can be just as glamorous as diamonds. And Burberry, Balmain and Jean Paul Gaultier all seem to agree. Burberry's spring collection is an intriguing mix of tough and feminine. 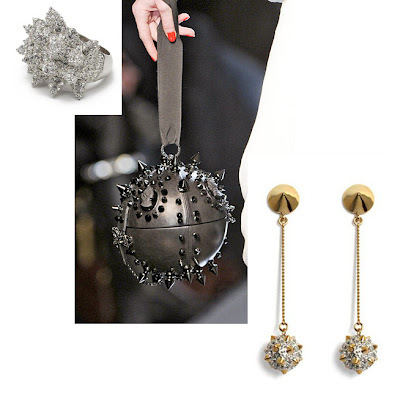 We're thinking that Noir's stackable rings and Joomi Lim's spikey rings and bracelets have a similar feel. Balmain is determined to keep punk rock alive, in a very glamorous way -- reminds us of something Gwen Stefani or Rhianna would wear. Instead of a plain old stud, go for sparkly pave ones like Noir and CC Skye (so ladylike at the same time). We love the shape of this Jean Paul Gaultier purse. It kind of looks like a medieval weapon of sorts. 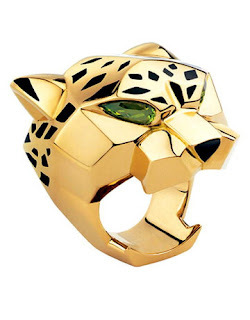 And almost identical shape to Noir's drop earrings and, if it was cut in half, the CC Skye 'Wicked' ring. Little spikey balls: it doesn't get cuter than that! 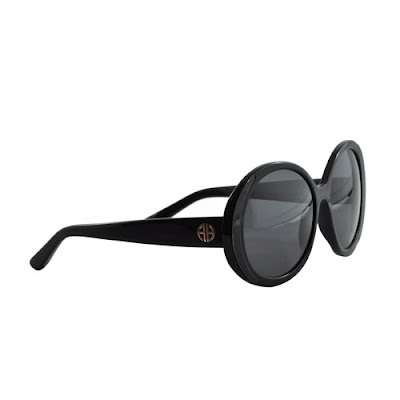 Summer wouldn't be complete without a great pair of sunglasses and our favourites are these ones by House of Harlow. Aptly named 'Nicole', they also seem to be Nicole's favourites: she is rarely seen leaving the house without them. We love a great throwback to the 60s when it was all about bold geometries. 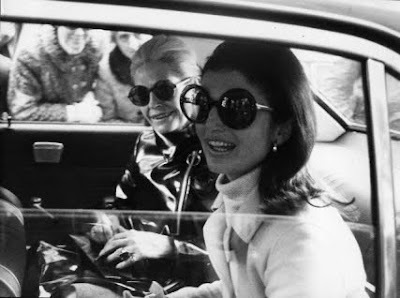 They also remind us of the big and fabulous sunnies Jackie O used to wear. 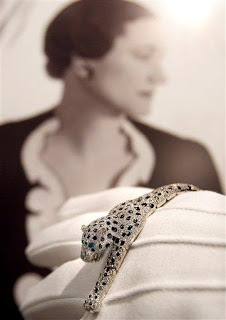 We can credit the late Duchess of Windsor for popularising animal-themed jewels. 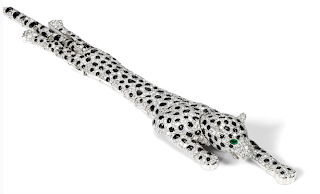 Hew opulent panther bracelet, designed by Cartier for their “Great Cat” series and gifted to her by Prince Edward, caused quite a fashion stir in 1952. Needless to say, every woman wanted one (and her own Prince too). 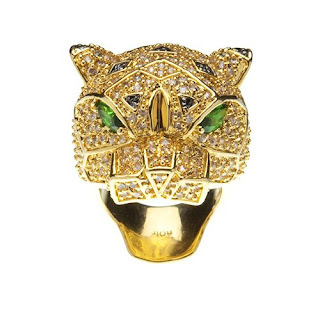 Soon after, designers like Kenneth Jay Lane began making pieces inspired by the famous cat. 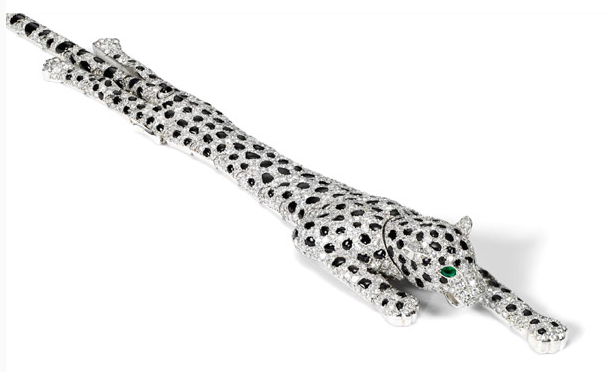 Her Cartier panther was recently sold at an auction for £4.52 million and rumour has it that it was purchased by Madonna. 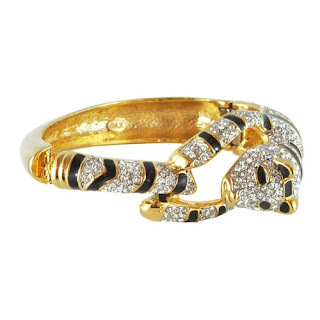 Our Kenneth Jay Lane's tiger bracelet was worn by Leighton Meester in L'Officiel's March issue and his animal cuffs have many celebrity fans like Rhianna, Jennifer Lopez and Hilary Duff. Adding to the cat craze is the 'Panthere' ring, also designed by Cartier. First introduced in 1912, it's been having a major comeback in the recent years. 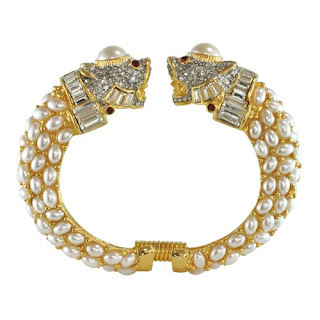 As seen on style mavens like Lady Gaga, Rhianna, Eva Mendes, Diane Kruger, Jessica Alba, Anne Hathaway and stylist Rachel Zoe, this little guy may just be the most coveted jewel on Hollywood. We loved its casual styling on Kirsten Stewart in Vanity Fair. Of course, not everyone has $15,000 to spend on a giant panther head! 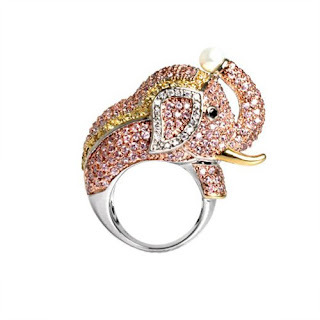 No worries, Noir has its own cheep n' cheerful version and a selection of other animal friends to choose from, like pigs, hippos (worn by Katie Perry) and elephants (did you know that Cartier has an 'Elephant' watch?). Thanks Duchess of Windsor and Cartier for making our animal friends so fashionable! We love florals all year round but the summer is when we get really excited about all the blooming things. That includes jewellery! 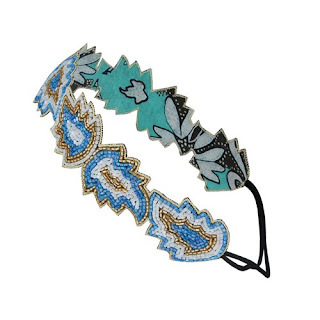 Rest assured, we have the prettiest accessories to hit up all the garden parties this summer. D&G did the entire collection of gorgeous florals. This dress from Glamour Russia is so go green and lush, quite earthy indeed. It kind of reminds us of our Deepa Gurnani leaf headwrap. The florals on this Dior dress are so lovely and summery. Fuchsia and emerald jewel tones are just lovely, very girlie and a little flirty. 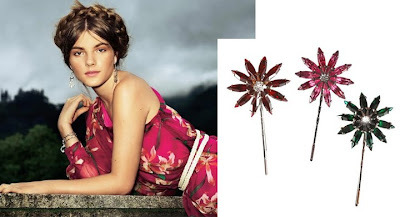 And we think our Louis Mariette flower pins would compliment the look perfectly. Yet another beautiful D&G dress was shown in Dazed & Confused. This time in a very pretty ladylike yellow print. 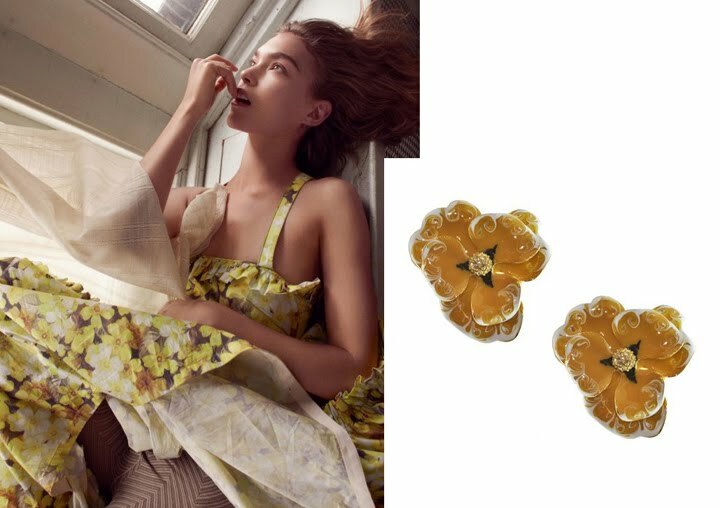 The little vintage-looking flowers match our Kenneth Jay Lane earrings almost perfectly! Metropolitan Museum's Costume Institute Gala is perhaps the best dressed red carpet event, more glamorous than the Oscars. 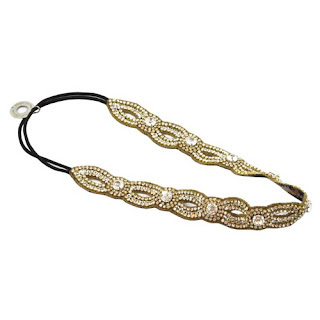 Along with fabulous designer frocks, we noticed a major hair trend: sparkly accessories! Maybe it's because everyone is still enamoured with the Royal Wedding but we're not complaining. 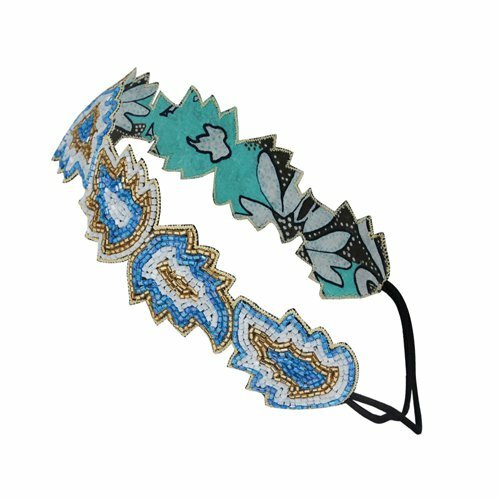 You know Sophie's Closet loves hair jewellery! Some of our favourites were Kate Hudson's and Shalom Harlow's little sparkly barrettes. 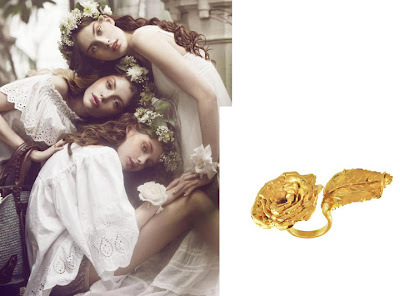 For similar looks, check out pieces by Jennifer Behr and Ban.Do. 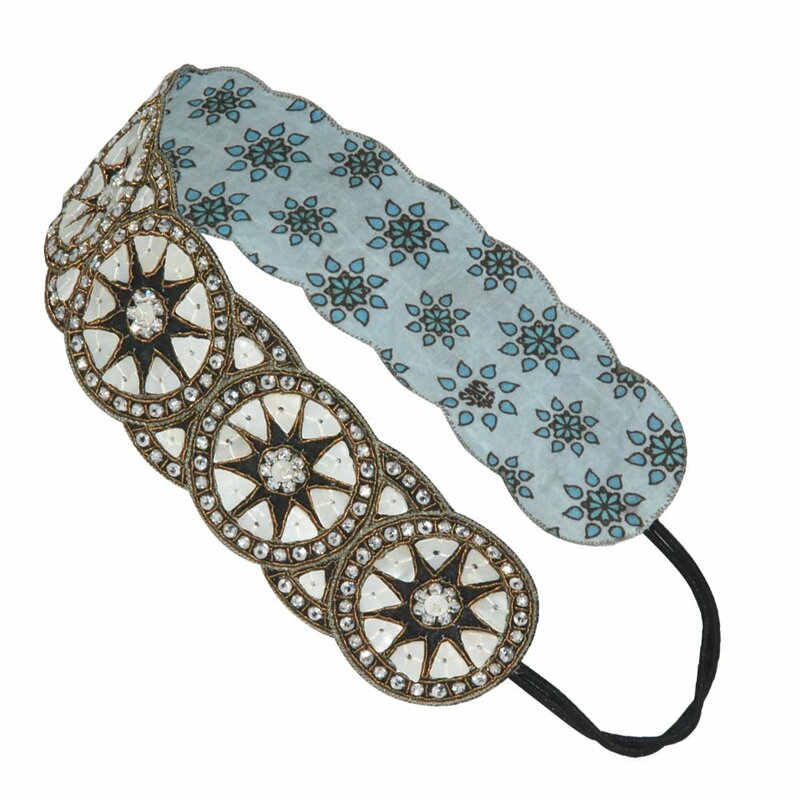 Of course, one could never go wrong with little headbands and tiaras. We think Rashida Jones' piece looks so chic. We would go for our Louis Mariette 'Amour' headband or Jennifer Behr's 'Sabrina'. Jessica Alba always looks gorgeous and her jewelled tiara just adds to her gorgeousness. Don't have a tiara? 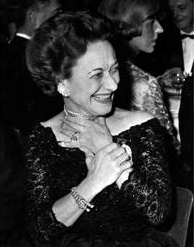 Try securing your favourite bracelet or necklace to your chignon. Of course, Vogue's Anna Dello Russo stole the show with an egg-shaped fascinator! It's not the kind of look we would go for but we love it on Anna -- she is fearless!